Today at work, our fabulous new administrative assistant sent Pauline the Giraffe riddle. “WHY HAS THIS GONE VIRAL?” She exclaimed. People like to belong, be in the know, that sort of thing. Also, who could possibly hate a giraffe? They are Ahhh-dore-able! I’ve changed my profile to a giraffe. I tried to answer a riddle and got it wrong. Try the great giraffe challenge! A fair dinkum argument erupted between myself, and my generally agreeable business partner regarding the answer to this riddle. I asserted the answer was “your eyes” because you’d have a hard time opening the door if you had your eyes shut. Pauline asserted that it was the door. According to extensive Internet research on the matter, it seems we were both right, but the door seems to be considered the more popular answer. So what is the magic formula that makes things go viral or fizzle completely? Does anyone else remember a few years ago there was the single word bra colour posted in support of breast cancer awareness. There have been countless viral Facebook memes since that. Some have been cute, some have been interesting, some have been quite irritating. This same week, there was the Russell Brand BBC interview with Paxman. So he’s up to around 2 million followers on facebook and there’s been about a million YouTube views of this interview in about 5 days if you add together the extended and edited versions. Here is the extended version of the Russell Brand interview. There was also a major fail by the subversive anarchist group Anonymous, who seem to have a similar agenda to Brand, but lack the comic and pop culture appeal that he has apparently. The group asked for 1 million views in 24 hours, and when I checked it had made it to about 30,000 views and was of course taken down after 24 hours. Had a nice brief little chat with a few friends on my husband’s wall about this. By the time a handful of them went to have a looky loo it had already been taken down. Something else that went viral, and I quite enjoyed was the “No Woman No Drive” song. For those of you who do not know, women in Saudi Arabia are forbidden from driving, and a small group of them recently defied these orders and posted pictures of themselves driving a car on social media. The conservative Islamic powers that be in that country are fighting the progressives who wish to extend the right to drive to women in the area. As consummate social media junky and communication professionals, we too are often surprised about what goes viral and what does not these days. Take a punt! Be considerate, kind and thoughtful with your posts and content, but get it up there and share your thoughts and ideas online. Why? Cause you never know what’s going to go viral these days, and maybe the next big meme will come from you or your brand. So be protective and considerate about what you create, share, and champion online, but don’t be afraid to give it go. Do you think an element of their virality is because it causes disagreement and debate between people. Secondly, do you think that the fact that there was a visual breadcrumb involved, increased the probability of virality. I.e. the giraffe pic. It incites people to think “WTF is with the Giraffe?” Then they ask why, they do the riddle, they fail, they change their pic. Trend continues etc. It all starts with someone going WTF! 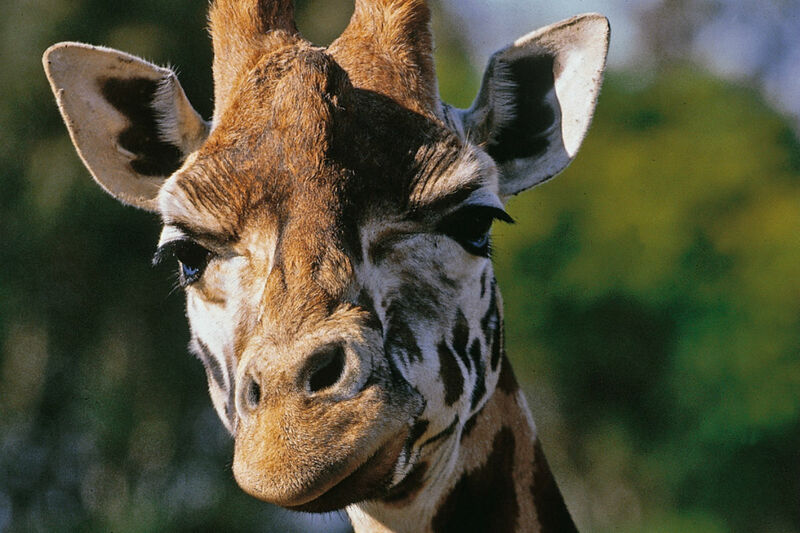 Yeah, there was a bit of discussion about the riddle… But I stand by the fact Giraffes are cute and funny contributed. And yes, the WTF a giraffe pic definitely played a huge part 🙂 Thought it was only meant to be up for three days though, so suprised to still see so many giraffe pictures. Ah well.